When, (late night snacks) why, (food addictions, binge eating, anxiety eating) and how you eat (sandwich choked down at your desk) as well as what you eat as factors in weight gain. Food advertising and weight gain: TV commercials that hawk food products are more than annoying – they can make you fat, especially if you are already overweight. It turns out that watching food-related commercials does just what the advertiser intends – they motivate you to eat, according to a 2014 study in the journal Psychology and Health. The role of stress in weight gain. In 2014, Stanford University researchers published statistics from 1988 to 2010, reflecting Americans’ changes in obesity, belly fat, physical activity, and caloric intake. The news was grim. Our waists are expanding, and our bellies are getting bigger. Incredibly, the number of us who get no leisure time activity has more than doubled - in 1988, 19 percent of American women were inactive; as of 2012, that number skyrocketed to 52 percent. Not only is the nutrition processed right out of our mass-produced foods, the additives are put in. Many of the additives make you fatter - artificial sweeteners and colors, emulsifiers, and other non-nutritive ingredients. Experts have named these chemicals obesogens. Obesogens interfere with the way our hormone system works; they confuse insulin signaling; and they affect the way our fat cells function. These chemicals have been deliberately added to our foods to enhance food production, and to make them more addictive, not to improve our nutrition. Along with the additives, excess sugar, salt, and refined grains also play a role in the obesity epidemic. 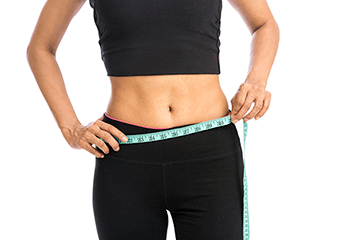 Our weight loss program gets results because we do an individual assessment of all these “hidden weight factors” and start you on a whole health program that will help you lose weight. We have helped people lose more than 50 pounds, without feeling hungry, or tired, and with foods that they love to eat. To schedule your appointment with Chicago's top weight loss specialists, please call (773) 219-1097 or contact us online today!